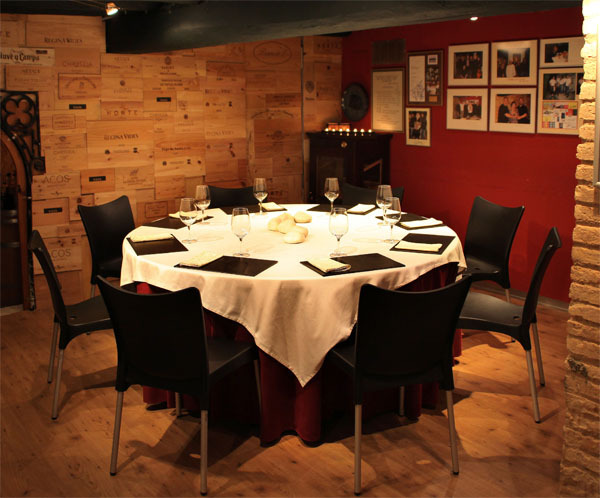 It is a private dining area in a cellar which dates back to1823 inIgualada. 8 chairs, 8 friends, a place to enjoy the happiness that fine food gives us. An exclusive and intimate concept.